As a repairer for dishwashers, the most common words that will come out of our mouths is..."You need to keep your filters clean". 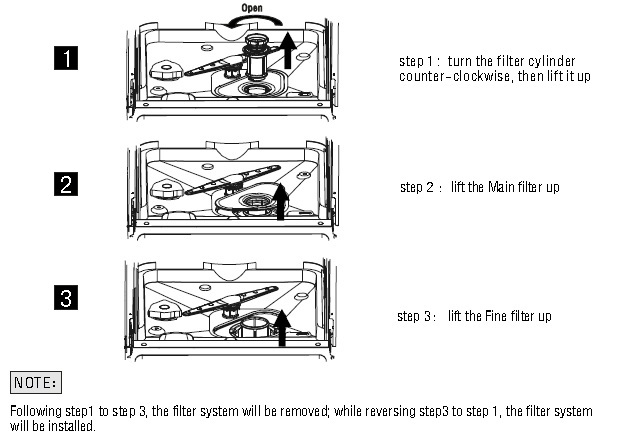 So, the next question is always..."How often should I clean my filters?". Really only you can answer that question accurately, but we will likely tell you to check your filters every time you use your dishwasher, then get an idea of how long before they need a good clean. This may even be around once per week. All dishwashers will suffer from loss of performance if your filters are not maintained, so keeping on top of this minor task will only provide you the benefits of better performance. This should also provide you with less repairs.